Royal Horse Artillery; G Troop: Bring the guns in ! during the last weeks i sorted my collection of figures, searching for those i like to sell. 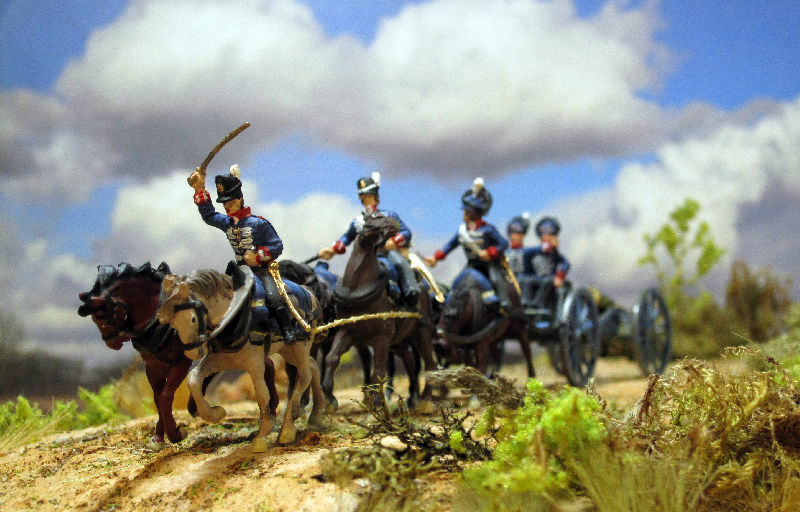 Especially my old AIRFIX-Figures of the napoleonic period are the target of this selection. But as the sorted out figures are lying there in a box, i rememberred to the time when I bought them. I bought a lot of them at a kiosk when I was a schoolboy. That's what I spent all my pocket money on. And i loved my AIRFIX-comrades really..
Is it permissible to sell such memorabilia? I hesitated for a long time...; Sell ?? Or not ?? But then I surrended...and decided to paint some of them. Even t hough there have long been better figures, of which I have already painted about 4,000. 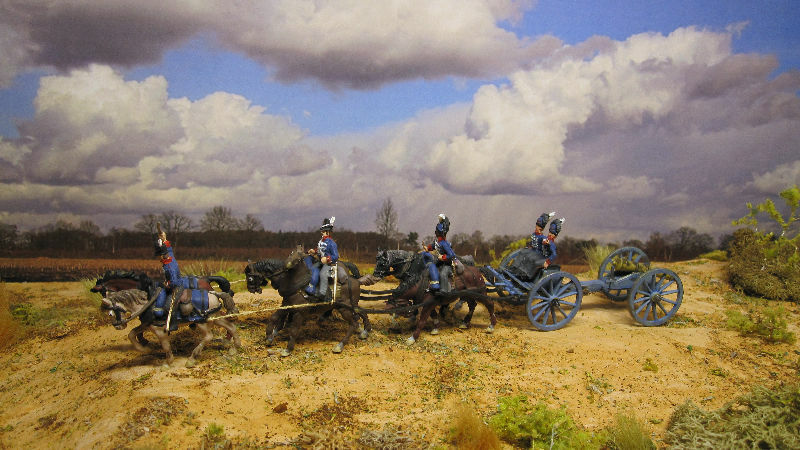 First, I took out two sets of the AIRFIX Royal Horse Artillery, which I had painted quite badly 35 years ago. I put them in brake fluid and stripped them of old paint. And then started all over again. 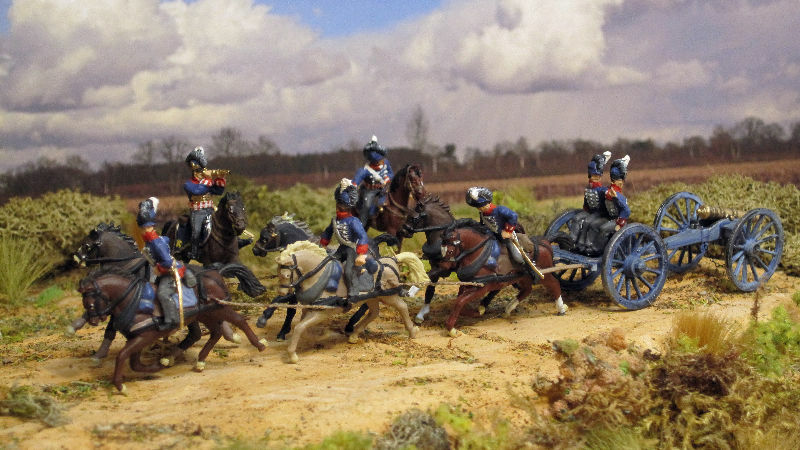 But they are still the only figure set of the RHA that shows a limber with six horses, I tried to make a nice representation with the AIRFIX parts. The AIRFIX-9-pounder-Guns are unfortunately very rough replicas of the originals. Fortunelly during the sorting of my collection i have found some Guns from "A Call to arms" and the rest of a REVELL-British Food Arty-Set. All this material was filling my table, so i decided to mix the best parts of this remnants and build two 6-horse-limber teams from it. Can you hear the order ? French Cavalry is ready for attack !!! Bring your guns in !! " 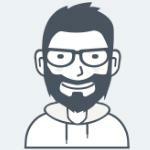 Really nice presentation and conversions. 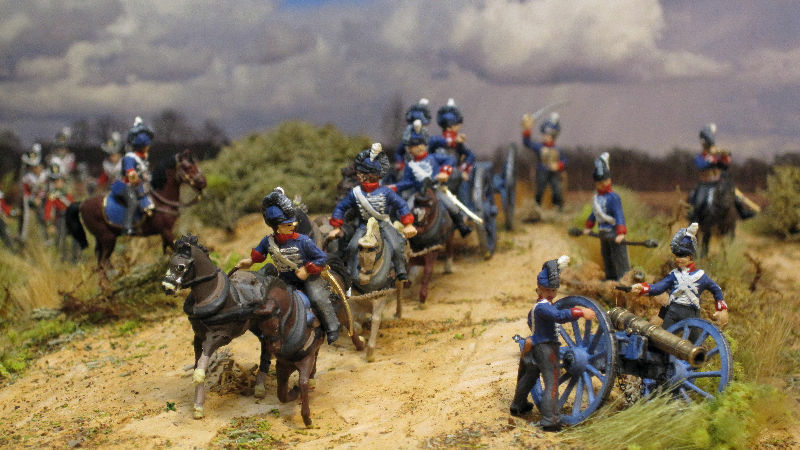 I am building Rogers battery for Quatre Bras and have been chopping too. I love the telescope conversion, simple but so effective. I am off to get the knife! The drivers should have the Tarleton helmets but who cares, inspirational stuff from an old classic. Just spotted that only one has shakos. I wanted to have some variations of the figures so it doesn't look so boring visually. Therefore, I disassembled some figures with the knife and then reassembled them with wire and super-glue. I had to add two horses at the REVELL-Limber, which I took from remnants of other sets. But the depiction of the horse harnesses was difficult. From my point of view the AIRFIX-Officer with the telescope is one of the best figures of an observing arti-Officer in all sets. Holding a heavy (and at 1815 seldom and expensive) telescope in one hand, like in the RHA-sets from ESCI is false and unrealistic. The AIRFIX-Observer ist therefore a very nice basic for conversations. I exchanged the top and the bottom of the observer figure and of the riding officer with sabre. Simpel, but a nice effect.. 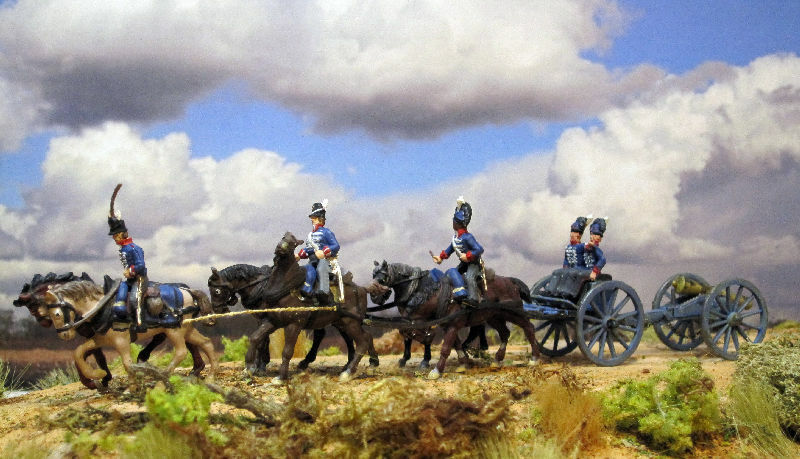 These Airfix figures are still the best RHA figures available, and it's the only set with correct figures for the Corps of Royal Artillery Drivers. I do swap the guns with the ACTA foot artillery set though. Very nice job on these Gerd. 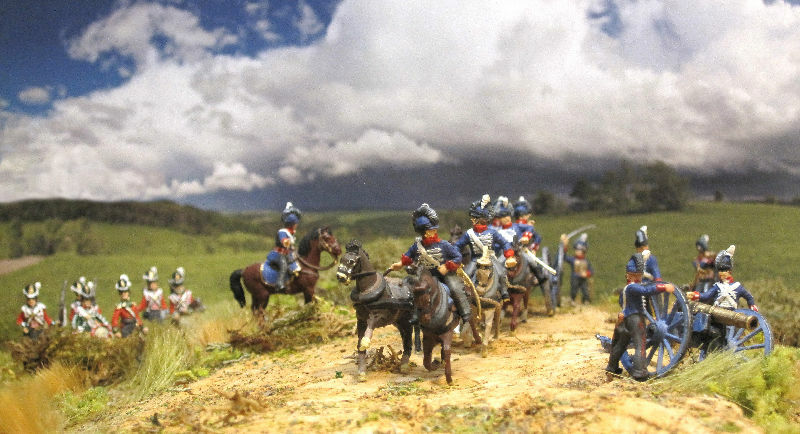 The painting is terrific, I really like your conversion of the mounted and unmounted officers and the groundwork and background for the photos are excellent. thank you for the compliments..